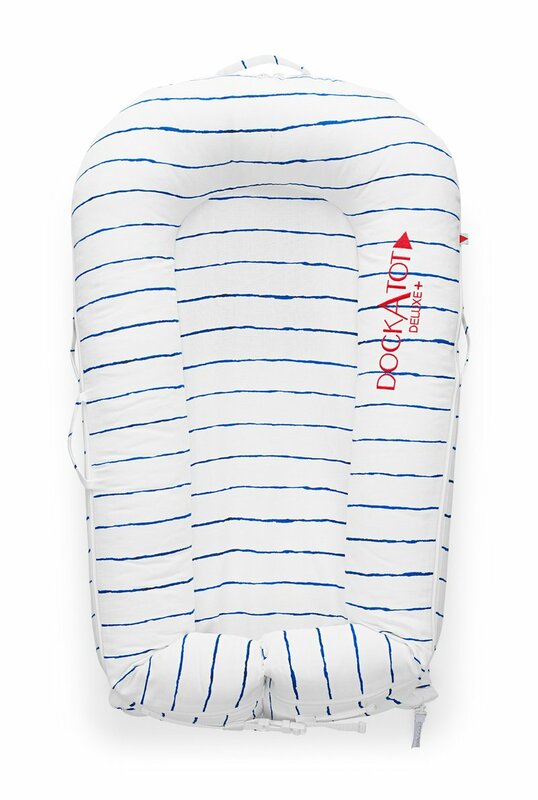 DockATot Deluxe - Mariniere | Baby Lounger Pillows Perfect for Co-Sleeping! 100% Breatheable: Both pad and tube have great air-permeability and comply with BS4578. BS4578 is the result of an objective to produce a British Standard specification for a pillow which can confidently be used in cots, perambulators. The DockATot® Deluxe pod is designed so that the baby's face sit comparatively high in relation to the sides. The sides are low and also rounded. A baby correctly positioned in the pod (on his back) is breathing into open air. 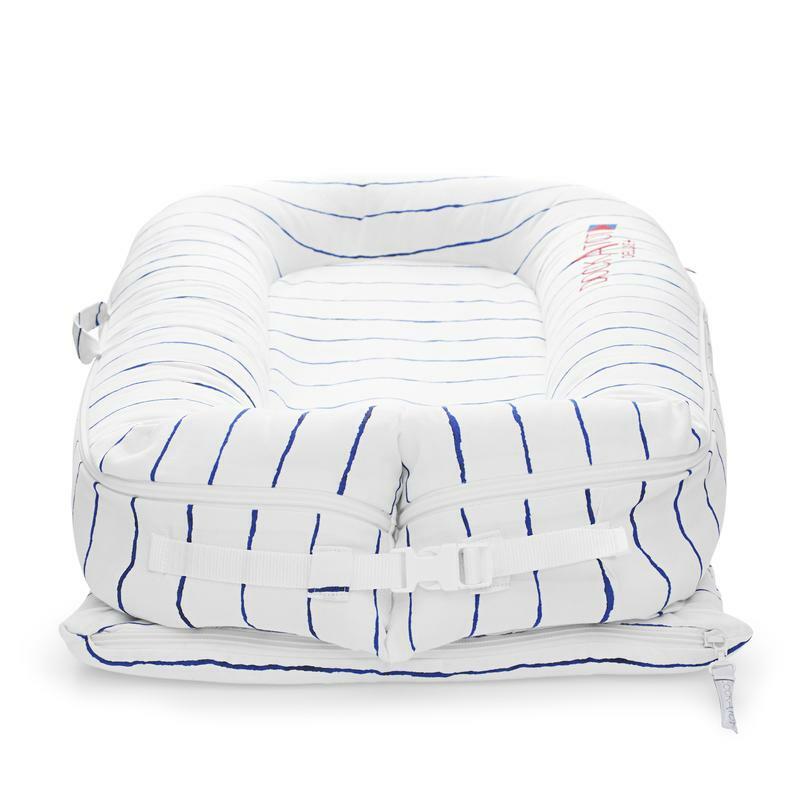 The design is made with consideration to not trap used air (breath; carbon dioxide) unlike most bassinets and moses baskets and infant and baby loungers. Safe Co-sleeping: DockATot® and its protective sides facilitate correct physiological back positioning while preventing the baby from rolling out of bed, hitting his head against the headboard, getting caught between the bed and the wall, or wriggling down under the covers. The sides also prevent the parents from rolling on top of the baby. Yet, the sides are comfy enough for the parent to have his/her arm over the side to pat and reassure. The firm pad reduces the risk of suffocation, unlike soft adult mattresses. 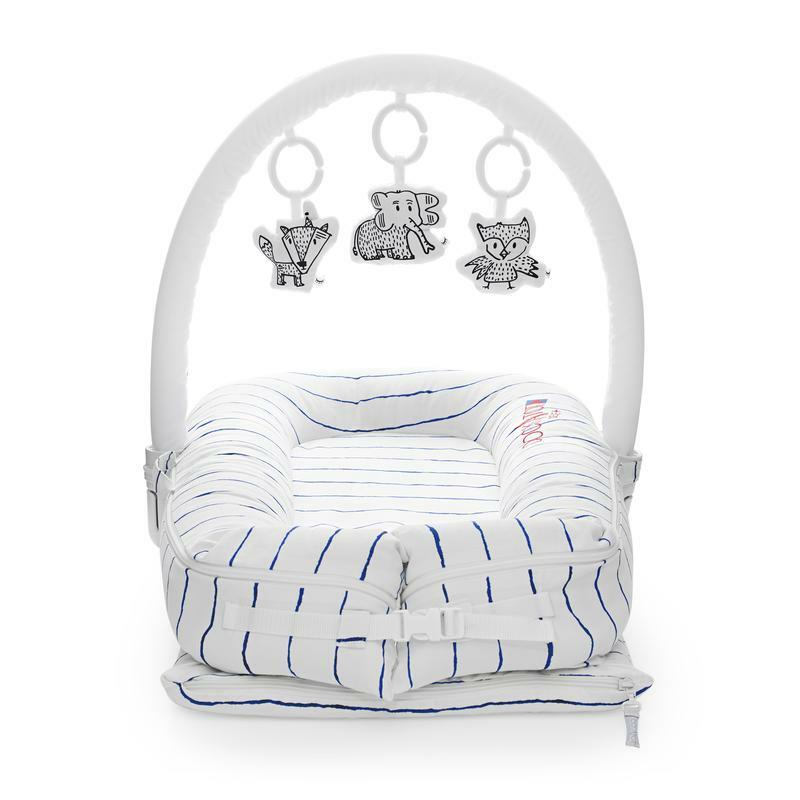 Please note that DockATot products are not to be used in a crib or bassinet setting. DockATot® is not designed to prevent a baby from rolling over. However, it’s less likely the baby will engage in such activities while in the pod. Rolling over is a natural development, which should be encouraged during waking and supervised time. Up until approx. 8 months, one must always place a child to sleep on his/her back. However, at 7-8 months if they turn in their sleep, the pod is breathable so you don’t have to turn him/her back on his/her back. As to bedding, to further enhance the safety of the (supervised) sleeping environment, it is advisable to use wearable blankets, such as sleeping bags. We strictly advise against swaddling beyond the point when the baby starts rolling over. Temperature Control: DockATot® does not harbor heat. A very strong feature which we have seen in our testing both independent and in-house is that an infant does not develop excessive perspiration from body heat with the DockATot®. 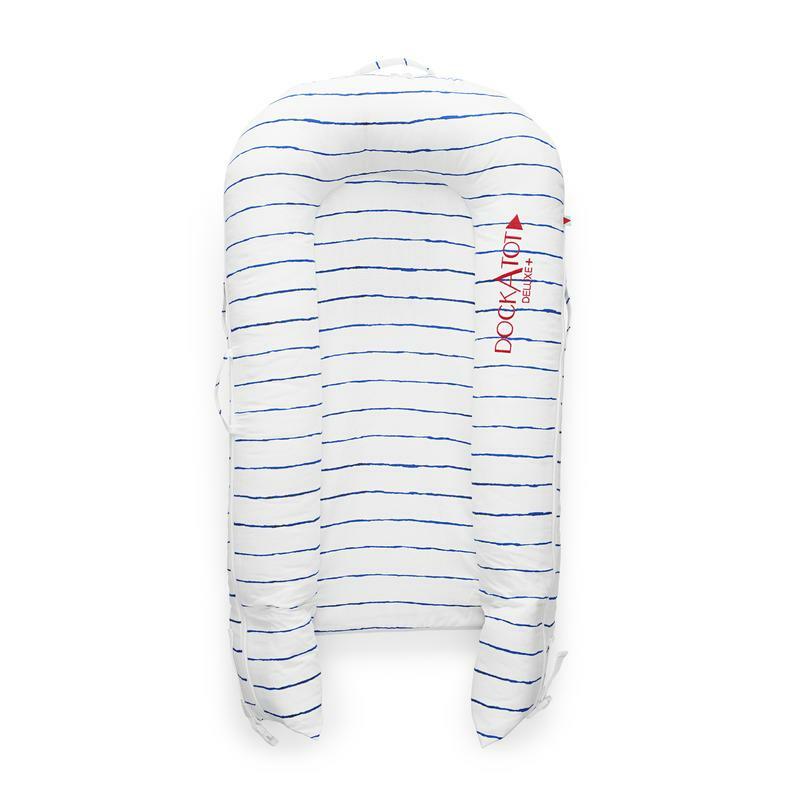 The materials used in the design allow for air to pass through effectively, thus keeping baby cool and relaxed when sleeping. We take our safety and quality certifications very seriously. Here is a chart showing all our components and certifications levels. DockATot® is the original, premium baby lounger. Do not purchase DIY or imitator products as none have been safety tested and could be dangerous for your baby. REACG certified manufacturer and assures that materials and processes are free from SVHC . The DELUXE pad meets with the AS/NZS 8811.1:2013. Methods of testing infant products – Part 1: Sleep surfaces – Test for firmness. ASTM D3574-08 Sections 16 through 21 for Indentation Force Deflection. High ratio (= excellent support factor).